The “Empowered Entrepreneur Training” (EET) is an innovative training program developed for entrepreneurs and sales agents in the household energy sector to develop personal agency (empowerment) and leadership skills that enable them and their businesses to grow. 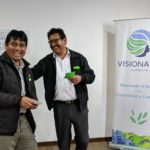 Visionaria Network is a founding contributor to the Empowered Entrepreneur Training Handbook, and has since helped lead training programs for over 60 certified trainers through Winrock International’s Empowered Entrepreneur Training Program — reaching over 1,000 entrepreneurs to improve their business selling household energy technologies (e.g. cookstove and solar lantern) in over 10 countries in Africa, Asia, and Latin America. 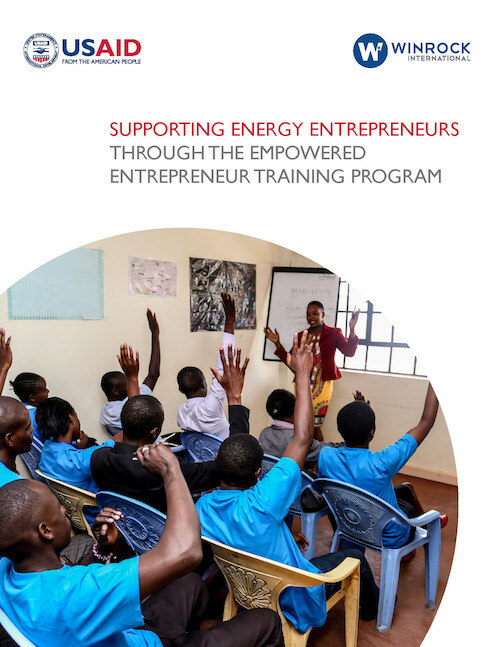 The Empowered Entrepreneur Training Handbook is designed to support an organization and its trainers in empowering women micro-entrepreneurs, small enterprise owners, and sales agents who work throughout the value chain in the household energy sector. Developed by Visionaria Network and Johns Hopkins University (JHU) with support from the Global Alliance for Clean Cookstoves, the training curriculum focuses on agency-based empowerment, which enhances an individual’s cognitive capacity to create and focus on his/her goals, and prepares him/her to effectively take advantage of opportunities when they arise. Understanding these concepts and how they are relevant to our personal and professional lives. Identifying and appreciating our strengths, while developing positive mental habits to overcome limiting beliefs and change our behaviors & attitudes toward fear and risk. Establishing and developing our understanding of leadership, developing our visions, setting goals, being proactive, solving problems and improving communication. Marketing, financial planning, customer care, recordkeeping, business modeling. 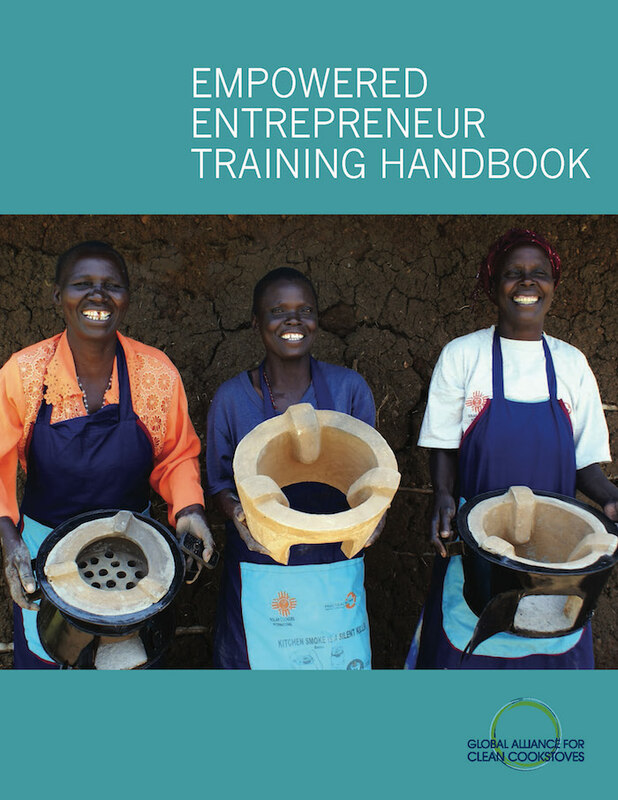 A randomized controlled trial conducted by JHU, and implemented by ESVAK Kenya, found that women entrepreneurs who received the agency-based training sold nearly 3 times as many improved cookstoves as men generally; men and women getting the enhanced training were 2.7 times more likely to be high sellers; and women and men who received the agency-based empowerment training were twice as likely to pursue sales leads and continue their business activities when faced with challenges. Through the USAID-funded Developing a Sustainable Cookstove Sector (DSCS) project, Winrock International, in partnership with Johns Hopkins University and Visionaria Network, rolled out Empowered Entrepreneur Training Programs (EETPs) to help strengthen entrepreneur capacity throughout the clean energy vale chain. 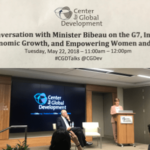 These programs use the Empowered Entrepreneur Training Handbook curriculum to enhance the agency and abilities of local entrepreneurs, especially female entrepreneurs, so that they can create viable businesses and scale clean cooking and energy solutions globally. 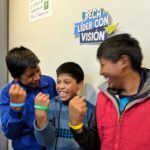 The trainings built in-house expertise at local companies involved in the cookstove value chain so that they could support empowered entrepreneurs and sales agents with strong business and leadership skills.